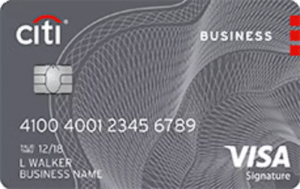 Costco Anywhere Visa Business Card by Citi is a credit card that allows business owners to earn cash back on purchases such as gas, restaurant, and travel expenses. It also offers damage and theft purchase protection. We compiled Costco Anywhere Visa Business Card by Citi user reviews from around the web and determined that they generally have a mix of positive and negative reviews. We also discussed the rates and fees it offers. People who left a positive review of Costco Anywhere Visa Business Card by Citi said that it is good for small businesses that need cash back on purchases such as gas, restaurant, and travel expenses. Users that are already Costco members are also happy that they receive 2% cash back from their Costco purchases. They are also happy that they get 1% cashback on all other purchases. Another feature that users are happy about is the damage and theft purchase protection benefit. People who left a negative review of Costco Anywhere Visa Business Card by Citi said that they are unhappy that the rewards can only be redeemed once per year as a certificate in the February billing statement. They say that same certificate expires on December 31 of the same year and can only be redeemed at a Costco warehouse. A positive review on Costco Anywhere Visa Business Card by Citi said that he is happy that the rewards system includes cash back on gas, restaurant, travel, and Costco purchases which is very helpful for his business. A negative review on Costco Anywhere Visa Business Card by Citi said that he is unhappy that the rewards points can only be redeemed once a year and that it expires in the same year. Earn 4% cash back on eligible gas worldwide, including gas at Costco for the first $7,000 per year in gas purchases, and then 1% thereafter. Earn 3% cash back on restaurant and eligible travel purchases worldwide including airfare, hotels, car rentals, travel agencies, cruise lines, and Costco Travel. Earn 2% cash back on all other purchases from Costco and Costco.com. Earn 1% cash back on all other purchases. There is no limit on the amount of cash you earn. Points can be redeemed as either Costco merchandise or cash back. Rewards certificate is only issued once per year on the February billing and expires on December 31 of that same year. Certificates are only redeemable at Costco.